I first tasted homemade ricotta about 10 years ago. It was quite revelatory. Creamy, almost buttery, bits of cheese, full of flavor that melt in your mouth. Nothing at all like the watery stuff I grew up eating off supermarket shelves. I hadn’t given much thought to making it myself until just recently—like last Thursday. Truth be told, I can’t remember if I’m coming or going these days, so I couldn’t tell you what brought on the urge exactly. I just remember waking up thinking I want to make ricotta. This is here Google comes in real handy. Imagine how much quicker we would’ve evolved if cavemen could’ve googled “how to make fire”? Anywho, a quick search showed a few variations in ingredients, but the basic chemical reaction (curdling the milk) required two things: milk and an acid. Some recipes called for lemon, others white vinegar. The one that struck me was Heidi Swanson’s over at 101 Cookbooks. Her’s called for buttermilk, and it was really genius. Buttermilk naturally contains lactic acid. 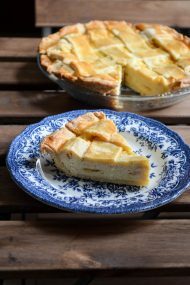 While Heidi’s recipe was simply buttermilk and whole milk, I liked David Lebovitz’s use of cream. I had a hunch it would produce that buttery flavor I was looking for, so I scaled back some of the milk to add it. Not only was I incredibly happy with the outcome, I also learned it’s ridiculously easy to make from scratch. Now I don’t have to worry that my favorite Italian shops are closed on Sunday or Monday. I can enjoy homemade ricotta all the time. Another perk is eating it still warm from the colander—topped with some homemade strawberry or tomato jam. Next time I’m going to make it with the kids as a tasty science lesson. 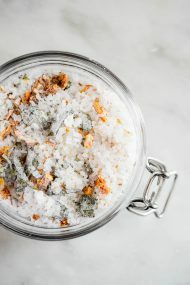 Add ingredients to a 4-quart pot. Bring to a gentle boil over medium heat. 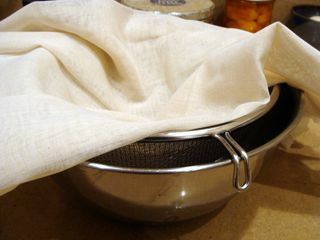 Meanwhile, line a sieve or fine mesh strainer with a few layers of cheesecloth and place it over a deep bowl or pot. 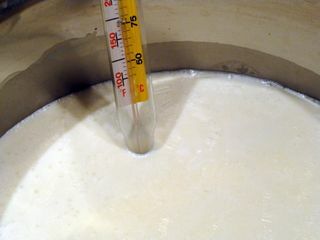 Once curds begin to separate from the whey (liquid temperature will be between 175º and 200º), remove from heat. 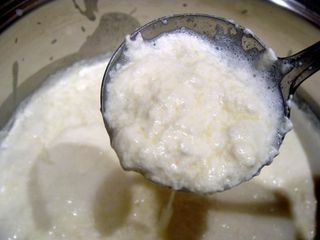 Gently spoon or ladle the curds into the cheesecloth-lined strainer. 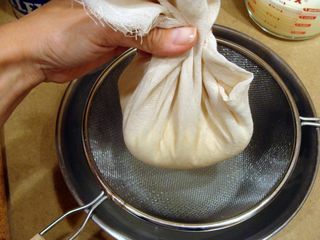 You may need to gently gather the cheesecloth at the top to help the curds drain. 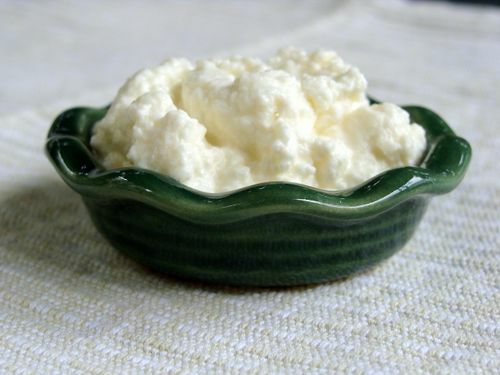 Great, now I have to add this to my to-try list- homemade ricotta! Sounds wonderful 🙂 See you this weekend! Looks delicious and easy to make at home! 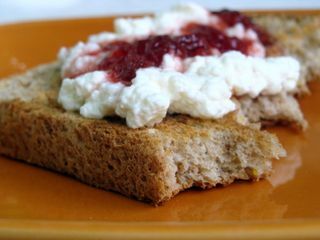 I have not yet tried making my own ricotta, but I have a feeling I will have to whip some of this up very soon! I am amazed at how easy that was! I can’t wait to try it!!! Thank you sooo much for posting this! My family is going to be so excited! yum! i love homemade ricotta and yes, it is a revelation!! This is very helpful Ricotta cheese are expensive here. This will save me money. Thanks. There’s really no looking back after making ricotta at home. I’ve got the ingredients on hand to make another batch soon. Incredibly simple! Like others have mentioned, ricotta is pretty expensive so I end up subbing pureed cottage cheese. This definitely is a recipe worth bookmarking. Wow, very impressive! I love the idea of fresh ricotta made in my own kitchen! Nice post. You learn something every day. I never knew you could do this so easily at home. Thanks for sharing. Looks great, and so simple. I teach kids cooking classes and think I might add this recipe to the Italy lesson in a few weeks. use fullcream Jersey milk to make Ricotta and it’s even better. Who knew it was so easy! I’m still impressed though. It looks beautiful. Our local Fairway used to carry Jersey cream and they stopped—it was a sad day indeed. 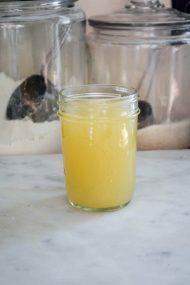 And yes, you can sour your own milk for this recipe if you must, but I really enjoy it with buttermilk. Go for both and do your own taste test. Wow, this sounds delish and oh-so-easy. Thank you so much for this post! !